Distracted driving has become a leading cause of Portland car accidents in recent years. Now, drivers must not only contend with smart phones, in-vehicle entertainment systems, and navigation systems, but also trendy apps which increase the temptation to divert a driver’s attention from the road ahead.Victims who are injured in car accidents caused by distracted drivers have legal rights. A Portland car accident attorney can help injury victims understand and protect these legal rights. On October 1, 2017, a Oregon’s distracted driving law became a lot more strict. Oregon Live reports that the previous version of the law, passed in 2009, required drivers to use a hands-free device to make phone calls and banned texting altogether. But this left open the possibility that drivers could use other functions – such as programming navigation systems or playing games – without violating the law. After the Oregon Court of Appeals ruled in favor of this interpretation, state lawmakers passed a new version of the law that prohibits drivers from using any function on a mobile device which requires touching or holding. The Oregon Department of Transportation reports that any activation or deactivation of a mobile function to be limited to a single touch or swipe. Inattention behind the wheel continues to be a serious public safety risk on the roads of Oregon, even after the implementation of a new, tougher state ban on distracted driving. According to KTVL, inattentiveness caused a chain of accidents to occur on the Interstate 5 near Medford. A total of four collisions occurred within a four-mile radius in just over an hour during the morning commute. Oregon State Police stated that the accidents were caused strictly by a lack of attention to the road, and not because of road conditions. More than two months after the ban took effect, drivers still struggled to pay attention and respond to traffic conditions around them. As technology changes and adapts to consumer needs, new problems present themselves, and exacerbate the distracted driving problem. 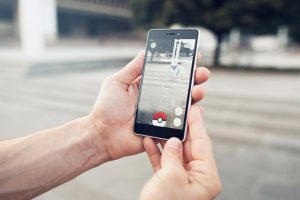 One such major problem occurred with the release of Pokémon GO in July 2016. The game became a worldwide sensation, and demanded users’ attention while out and about in public. This caused many drivers to engage with the application when they should have been paying attention to the road. A study reported by the Social Science Research Network estimated that the cost of traffic injuries related to the game was $2 to $7.3 billion within the first 148 days following the game’s release. And while no fatality statistic was reported nationwide, the researchers did attribute traffic fatalities to the game. Distracted driving takes lives. It is important that distracted drivers be held accountable for their highly dangerous behavior. While enforcement of the new distracted driving law is an important step, it is also up to injury victims to hold distracted drivers accountable for their negligence. Contact a Portland car accident attorney as soon as possible after any accident in order to best protect your legal rights.